“Premature Independence” isn’t technically a season finale, but it has the right amount of spectacle and finality to serve as a send-off for the time being. The final 15 minutes or so revolve around multiple set pieces within a set piece, the third annual 2nd of July 4th of July parade, presented essentially in real time with commentary by John and Joni Beard, and arguably more participation from the Bluths than anyone in Orange County bargained for. Befitting one of the family’s shindigs, the parade is a real shitshow: Multiple injuries, mass offendings, a double closet sexuality switch two-hander float illusion that’s hijacked by Tony Wonder encasing himself in cement. 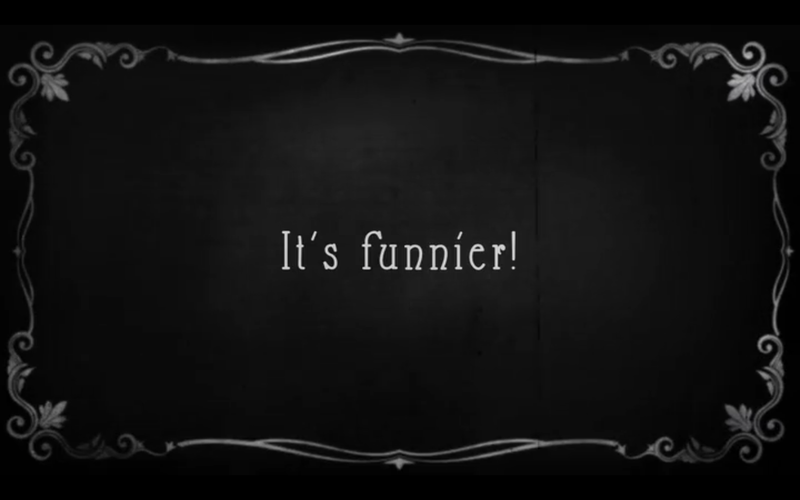 It’s so chaotic, the only appropriate climax is an extended Keystone Cops homage. But “Premature Independence” must also bring the major threads of season five to a natural resting place. It’s the longest among the first eight episodes, and it would have to be, considering all that it bites off. Even during the parade itself, “Premature Independence” is working overtime: Michael has fateful meetings with Lottie Dottie and George Michael, while Lucille and George Sr. weigh the options the Romneys have left them and resolve to reverse course on Lindsay’s campaign, tanking it so they don’t have to build the wall with money they don’t have on the land they don’t own. Tobias gives them a hand, bringing Debrie (a returning Maria Bamford, R.I.P. Lady Dynamite) back from Mexico in Lindsay’s stead. There’s resolution, but there’s also enough left open to segue into the next batch of episodes, whenever they arrive. Lindsay, Lucille II, and Tony are still out of reach, and with their mid-parade escape, you can add Buster and Oscar to the ranks of the MIA. Season five has played it curiously coy with Oscar: He gets no formal introduction from The Narrator until the end of “Premature Independence,” even though The Narrator’s been especially heavy-handed recently. (Consider this: At the top of “Premature Independence,” he begins to elaborate on GOB’s hot-and-cold thing with Tony, before cutting himself off with an “It’s hard to explain.”) But that’s almost certainly Oscar who buys Lindsay lunch in “Self-Deportation,” and he drops by the beach cottage here, to discuss Buster with Lucille. I don’t think the show is trying to pull a fast one on us: Long-time viewers will be able to distinguish George Sr. and Oscar by the way they speak and the way they dress, though obviously there’s been some line-blurring now that Lucille has been messing with her husband’s meds. It’s a choice that takes some of the surprise out of Oscar’s emergence at the parade, but one that also makes that emergence feel less sudden. It also briefly raises the notion of Oscar fessing up to Lucille II’s whereabouts, before George Michael decides that it’s better to be straight with his dad and reveal that he’s the bald man in the stair-car photo, and Maeby’s the woman with the spiky hair. Now this surprised me, if only because I’d let the Brian Grazer and Ron Howard wigs from the Imagine gift shop slip my mind. You have to watch Arrested Development with a sharp eye, but it also takes advantage of the fact that there’s always too much going on to remember every last detail at all times. The twist also sets up one of my favorite jokes of the episode: George Michael’s insistence that he and his cousin weren’t just playing a game of “Ron And Brian” after they ditched Steve Holt. They were playing “Ron And Brian… Go To Mexico.” An excellent, sheepish line reading by Michael Cera, and the jumping-off point for a whole series of imaginary Imagine adventures, in which Howard and Grazer travel the world like Hope and Crosby. “Premature Independence” works a lot better than season five’s previous big-event wrap-up episode, and it’s reflective of these first eight episodes as a whole: Some solid gags, some slack pacing, some forgetting, no forgiving. We’re nowhere closer to solving the Lucille II mystery, but surely there are clues to her whereabouts scattered throughout these and the preceding episodes, waiting to be uncovered through repeat viewings. But who’ll do the combing? 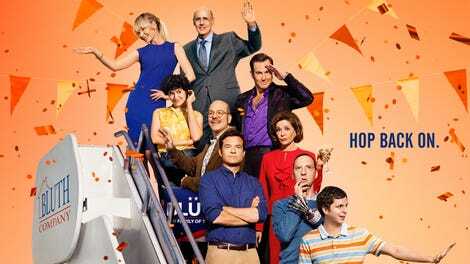 In my experience, Arrested Development tends to get funnier the second time through, as I pick up jokes I missed the first time through and recognize connections to events in the past and those yet to occur. If I wind up revisiting the first half of season five (and I probably will in the lead up to the next eight episodes), those elements—the near-silent marching bands and the “…go to Mexico”s—will be what’s pulling me through, not the stories or the characters. These episodes go in circles more frequently than past seasons of Arrested Developments, and if there’s something I’m hoping for from the rest of season five it’s a little more forward momentum. More “…go to Mexico”s, less actual going to Mexico. Five seasons and 15 years later, the show still has jokes, but it’s lost some of the foundation that used to support those jokes. Maeby’s Annette arc, and the seeds of the Tobias-Murph relationship, demonstrate that this isn’t beyond of the revived show’s capabilities. To paraphrase a subtitle from “Premature Independence,” it’s funner when it can do this. Or, to directly quote The Narrator’s follow-up to that subtitle: It was. Before Buster is downgraded to the manual hand, the prison hits on another improvised method for protecting army’s investment: A light bulb cage. That Two And A Half Men joke is layered like a jawbreaker: There’s the pun on the title, the idea that “half man” could be used as an insult for Buster (and “Jon Cryer” can, too), the implied notion that Lucille forbid the show so as not to invite unflattering comparisons between herself and Evelyn Harper, the other prisoner’s confirmation of that notion, and then the kicker where it’s revealed that Buster was indeed frightened by Angus T. Steakflower. But there’s an inside-baseball layer, too: Two And A Half Men and Arrested Development both premiered in the fall of 2003, with one becoming a huge hit and the other… not. But only one of those shows is still around to make jokes about the other in 2018, so who’s laughing now? As the jailbird in the Keystone Cops float, Buster is filling a role that used to be played by Stan Sitwell. And as Lucille II’s most recent paramour (or so it sounds earlier in the season), Stan’s filling a role that used to be played by Buster. Callbacks: Annette is indeed a client of 2 Hour Teeth, The Milford Academy Marching Band will be neither seen nor heard at next year’s parade, and the Keystone Cops march to the Hot Cops theme (what’s become of the Hot Cops?). The Milford Academy Marching Band is a joke that’s more clever than it is funny, but it is expertly executed. It’s all in the sound editing and mixing, the whooshing of the color guard flags drowning out the just-shy-of-audible music. Maybe it’s just that it’s David Cross saying it, but “Relucto, The Apprehensive Clown” sounds like it could be a Mr. Show joke.